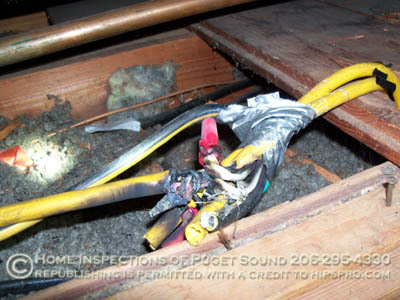 Who needs electrical junction boxes? 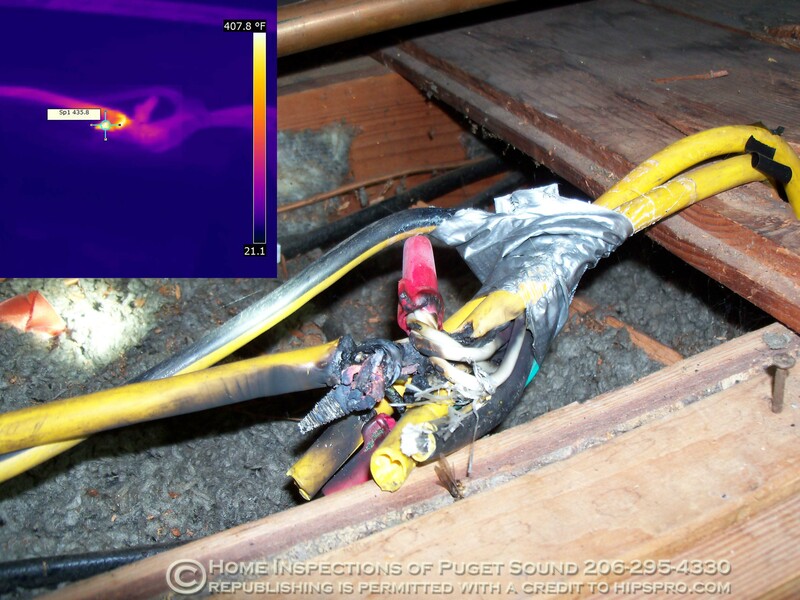 This is an overheating connection in an attic, see the melted wires and connectors. 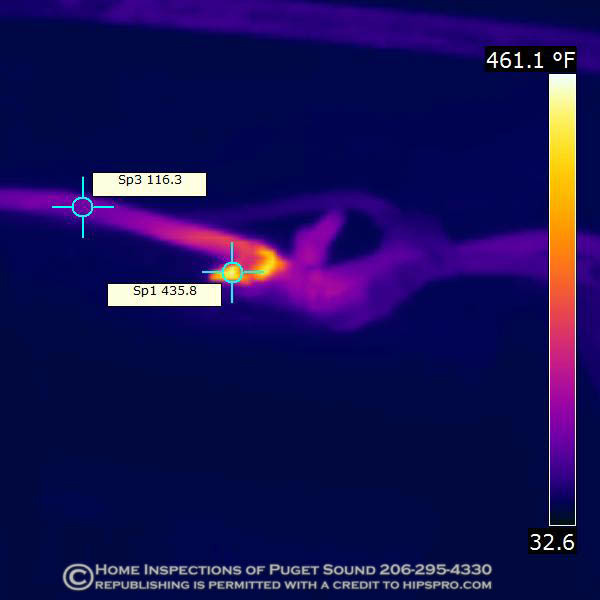 This thermal imaging scan of the connection shows why an electrical box is a great idea. connection coming in contact with the framing. the wire is at a much more reasonable but still hot 116F. been in that attic at this connection smoldered? This website is © protected material, all rights reserved.